Below is a list of books that were written by Father James V. Schall. This is the list that he sent me some time back. His death last week (April 17, 2019) has saddened me. Thankfully, his life and legacy have not ended. I have read and collected quite a few, but not all, of his books. My goal is to own them all and read them all. 1) REDEEMING THE TIME. NEW YORK: SHEED & WARD 1968. 2) HUMAN DIGNITY AND HUMAN NUMBERS. STATEN ISLAND, N. Y.: ALBA HOUSE 1971. 3) PLAY ON: FROM GAMES TO CELEBRATIONS. PHILADELPHIA: FORTRESS PRESS 1971. 4) FAR TOO EASILY PLEASED: A THEOLOGY OF PLAY, CONTEMPLATION, AND FESTIVITY. LOS ANGELES: BENZIGER/MACMILLAN 1976. MEN. SLOUGH, ENGLAND: ST. PAUL PUBLICATIONS 1978. 6) THE SIXTH PAUL. CANFIELD, Oh: ALBA BOOKS 1977. 7) WELCOME NUMBER 4,000.000,000. CANFIELD, Oh. : ALBA BOOKS 1977. 8) CHRISTIANITY AND LIFE. SAN FRANCISCO: IGNATIUS PRESS 1981. 9) LIBERATION THEOLOGY. SAN FRANCISCO: IGNATIUS PRESS 1982. 10) CHURCH, STATE, AND SOCIETY IN THE THOUGHT OF JOHN PAUL II. CHICAGO: FRANCISCAN HERALD PRESS 1982. 11) THE DISTINCTIVENESS OF CHRISTIANITY. SAN FRANCISCO: IGNATIUS PRESS 1983. 12) THE POLITICS OF HEAVEN AND HELL: CHRISTIAN THEMES FROM CLASSICAL, MEDIEVAL, AND MODERN POLITICAL PHILOSOPHY, LANHAM, MD. : UNIVERSITY PRESS OF AMERICA 1984. 13) UNEXPECTED MEDITATIONS LATE IN THE XXTH CENTURY. CHICAGO: FRANCISCAN HERALD PRESS 1985. 15) ANOTHER SORT OF LEARNING, SAN FRANCISCO: IGNATIUS PRESS 1988. 16) RELIGION, WEALTH, AND POVERTY, VANCOUVER, B. C.: FRASER INSTITUTE 1990. 18) IDYLLS AND RAMBLES: LIGHTER CHRISTIAN ESSAYS. SAN FRANCISCO: IGNATIUS PRESS 1994. 19) DOES CATHOLICISM STILL EXIST? STATEN ISLAND, N. Y.: ALBA HOUSE 1994. TO THINGS OF UNCOMMON IMPORTANCE. WASHINGTON: THE CATHOLIC UNIVERSITY OF AMERICA PRESS 1996. 21) JACQUES MARITAIN: THE PHILOSOPHER IN SOCIETY. LANHAM, Md. : ROWMAN & LITTLEFIELD 1998. 22) SCHALL ON CHESTERTON: TIMELY ESSAYS ON TIMELESS PARADOXES. WASHINGTON, D. C.: THE CATHOLIC UNIVERSITY OF AMERICA PRESS 2000. 23) A STUDENTS’ GUIDE TO LIBERAL LEARNING. WILMINGTON, De. : ISI BOOKS 2000. 24) REASON, REVELATION, AND HUMAN AFFAIRS: SELECTED WRITINGS OF JAMES V. SCHALL, EDITED WITH AN INTRODUCTION BY MARC GUERRA. LANHAM, Md: LEXINGTON BOOKS 2001. 25) THE UNSERIOUSNESS OF HUMAN AFFAIRS: TEACHING, WRITING, PLAYING, BELIEVING, LECTURING, PHILOSOPHIZING, SINGING, DANCING. WILMINGTON, De. : ISI BOOKS 2002. 26) ROMAN CATHOLIC POLITICAL PHILOSOPHY. LANHAM, Md. : LEXINGTON BOOKS 2004. (ITALIAN TRANSLATION: LA FILOSOFIA POLITICA DELLA CHIESA CATTOLICA. SIENA: CANTAGALLI 2011). 27) THE LIFE OF THE MIND. WILMINGTON, De: ISI BOOKS 2006. 28) SUM TOTAL OF HUMAN HAPPINESS. SOUTH BEND, In. : ST. AUGUSTINE’S PRESS 2006. 29) THE REGENSBURG LECTURE. SOUTH BEND, In. : ST. AUGUSTINE’S PRESS 2007. 30) THE ORDER OF THINGS. San Francisco: Ignatius Press 2007. 31) MIND THAT IS CATHOLIC. Washington: The Catholic University of America Press 2008. 32) THE MODERN AGE. South Bend, In. : St. Augustine’s Press 2011..
33) RATIONAL PLEASURES, San Francisco: Ignatius Press 2013. 34) REMEMBERING BELLOC. South Bend, In. : St. Augustine’s Press 2013. 35) ATHENS, JERUSALEM, AND ROME: ESSAYS IN HONOR OF JAMES V SCHAL, S. J. Edited by Marc Guerra. South Bend, In. : St. Augustine’s Press 2013. 36) POLITICAL PHILOSOPHY & REVELATION: A CATHOLIC VIEW. Washington: The Catholic University of America Press 2013. 37) THE CLASSICAL MOMENT: ESSAYS IN KNOWLEDGE AND ITS PLEASURES, South Bend, In. : St. Augustine’s Press 2014. 38) ON CHRISTIANS AND PROSPERITY, Grand Rapids, Mi., The Acton Institute 2015. 39) DOCILITY: ON TEACHING AND BEING TAUGHT. South Bend, In. : St. Augustine’s Press 2016. 40) A LINE THROUGH THE HUMAN HEART: ON SINNING AND BEING FORGIVEN. Kettering, Oh. : Angelico Press 2016. 41) CATHOLICISM AND INTELLIGENCE. Steubenville, Oh. : Emmaus Road Publishing 2017. 42) THE SATISFIED CROCODILE: ESSAYS ON G. K. CHESTERTON The American Chesterton Society (Charlotte, N. C.: ACS Books 2017. 43) THE UNIVESE WE THINK IN. Washington: The Catholic University of America Press 2018. 44) ON ISLAM: A CHRONOLOGICAL RECORD 2002-2018. San Francisco: Ignatius Press 2018). THE WHOLE TRUTH ABOUT MAN: JOHN PAUL II TO UNIVERSITY STUDENTS AND FACULTIES. BOSTON: ST. PAUL EDITIONS, 1981. SACRED IN ALL ITS FORMS: ESSAYS OF JOHN PAUL II, BOSTON: ST. PAUL EDITIONS, 1984. JUSTICE, PEACE. SAN FRANCISCO: IGNATIUS PRESS 1984. G. K. CHESTERTON, COLLECTED WORKS, VOL. IV, WHAT’S WRONG WITH THE WORLD. SAN FRANCISCO: IGNATIUS PRESS 1986. WITH JEROME J. HANUS, STUDIES IN RELIGION AND POLITICS. LANHAM, Md. 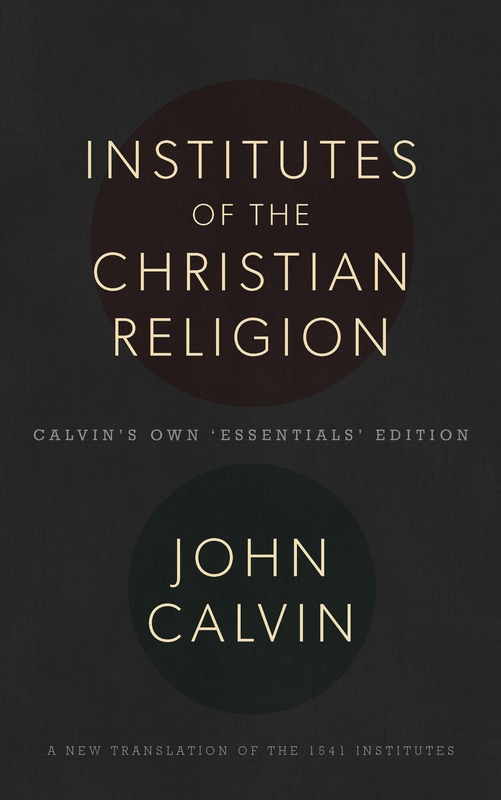 : UNIVERSITY PRESS OF AMERICA 1986. ON THE INTELLIGIBILITY OF POLITICAL PHILOSOPHY: ESSAYS OF CHARLES N. R. MCCOY, EDITED BY JAMES V. SCHALL AND JOHN J. SCHREMS. WASHINGTON: THE CATHOLIC UNIVERSITY OF AMERICA PRESS 1989. WITH GEORGE CAREY, ESSAYS IN CHRISTIANITY AND POLITICAL PHILOSOPHY. LANHAM, MD. : UNIVERSITY PRESS OF AMERICA 1984. I confess: I am a literary romantic. I really want to believe that great writers live in a paradise of books, good music, poetry, and fine conversations with other literary people, punctuated by long periods of sitting in a perfect setting writing words that will last forever. Reading about literary greats punches gaping holes in that myth. All the way back to my high school days, I read biographies of writers. Some writers led incredibly dull lives that were tied mostly to them pecking away on typewriters or filling pages with ink. Others lived lives that were more adventurous and harrowing than their books. Hemingway was not a nice guy, although he might have been fun to go fishing with. Faulkner would not have been easy to sit around with and talk about literature, but that would not have been impossible. Robert Frost could be downright mean and devious. All too many writers were drunkards. Pat Conroy was a man with real literary gifts. He could write prose that soared. Maybe more than most writers, his fiction was autobiographical. And then much of his autobiographical material was fictitious. He was outgoing, fun, generous, and loveable, but he was also morose, cruel, and mentally messed up. I tend to view his books overall as being good, but not great literature. He could weave a fine story. He could make a reader laugh, cry, and feel the stunning weight of beautiful language. This past several months, I have occasion to read and write several times about Conroy. I read and loved the book Our Prince of Scribes which was compiled by a number of friends and fellow writers who shared memories of Conroy. More than any other writer I have read about, Conroy encouraged, promoted, and pushed other writers. He really loved helping others. More than most writers, he really loved his fans. Rather than eschewing crowds, he was empowered by them. He would sit and autograph books and listen to fans for hours. That is the Conroy man that I love. I also read his posthumous book A Lowcountry Heart: Reflections on a Writing Life. Many of the essays were wonderful. This book is quite similar in approach to his book My Reading Life. Anyone wanting to enjoy books by a writer about reading and writing will enjoy these. I ran up and down our school hall shouting the day I realized that I had an autographed copy of My Reading Life. The Lost Prince, published by Counterpoint, is by Michael Meshaw, who is also a writer and was a close, maybe even the best friend, of Conroy. This book is a delightful story in many ways about the ups and downs of the writing life. Both the Meshaws and the Conroys were living in Rome; both Mike and Pat (begging pardon for this informality) were working on novels; both found lots of similarities in their life experiences. However, Conroy was writing best-selling books that were being turned into movies while Meshaw’s works were less successful. As always, Conroy was supportive of his friend. That sometimes meant Conroy would make use of contacts to help Meshaw or would lavish him with gifts. All this is the positive side of the friendship. These two guys really did have some heart-to-heart shared thoughts, experiences, and vision. But Pat Conroy was a combustible figure. Much of the book is about how Conroy’s marriage to Lenore (his second wife) bounced from battle to battle. Sometimes, the battles were with Lenore’s ex-husband, while often the conflicts were between Conroy and his wife. Life in Rome was followed by times when the Conroys would move to Atlanta, Georgia or to California, or to Fripp Island in South Carolina. The Meshaws lived a similarly nomadic life. It is, once supposes, the nature of writers to be vagabonds in many cases. The friendship and comradeship would wax and wane for years, but after Conroy and Lenore divorced, the Meshaws were estranged from Pat. This book is a sad reflection of a lost and never-ending painful separation. Granted, this is only Mike’s side of the story, but it seems that Pat was down-right cruel, manipulative, vindictive, and evil toward ex-friends and ex-family members. Added to that, Pat’s tendency toward alcoholism, toward suicidal thoughts, toward sadistic behavior compounded the problems. In short, Pat Conroy didn’t mind living in fiction as well as writing it. It hurts to realize that the wonderful man described by friends in Our Prince of Scribes was also the mean man described by Mike Meshaw. This is a story of love and friendship, but, boy, it hurts. Preaching is not always appreciated, but I will venture to preach a bit in closing. Pat Conroy needed to experience God’s grace. He had a horrific upbringing with an abusive father and a deceptive mother. He was a flawed human being. He could be brave and bold with a willingness to fight for right. But he never found the peace in his heart to deal with his past or to acknowledge his own sins to others. Since Michael Meshaw was not close by during Pat’s last days, perhaps there were reconciliations and repentances. One can only hope. The lives of writers often fall short of their fiction. Perhaps the same can be said of those of us who are teachers, preachers, and people in other professions. It is the greatness of man interwoven with the flaws of man that keeps us searching and thinking. Only Jesus of Nazareth was perfect in every way. The rest of us, whether we are lost princes or lost serfs, are still lost and in need of something greater than mere human improvement. 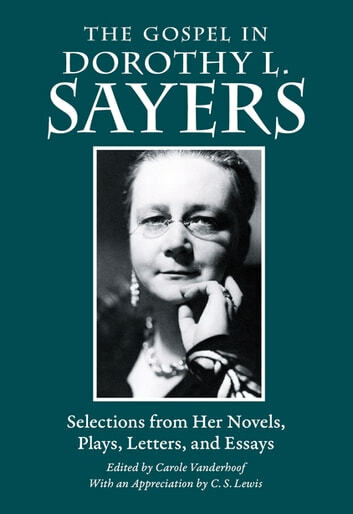 Dorothy Sayers is, in my world, the lady who wrote the essay. I am referring to “The Lost Tools of Learning,” which Miss Sayers wrote in 1947 and delivered at Oxford University. Like quite a few other people, I read it several decades later, and slowly, it began to change my whole approach to education. That essay is the founding document in the classical Christian school movement in America. It doesn’t say everything that needs to be said about education in general or classical education more specifically, but it said enough to spark thought, debate, and, more important, application. That essay was just a sliver of the corpus of writing that Dorothy Sayers did in her lifetime (1893-1957). Her main means of support was writing mysteries, and her main characters in her stories were Lord Peter Wimsey and Harriet Vane. Lest one think that this was just pot-boiling writing to make a buck, take note that she was one of the founding members of the Detection Club. She also served as president of that organization of mystery writers, being preceded by G. K. Chesterton, author of the Father Brown stories, and succeeded by Agatha Christi. She was also an incredibly gifted theological writer. Her contemporaries were such fellows as C. S. Lewis, J. R. R. Tolkien, and others among the famed Inklings. I am not sure she was ever able to hang out with the guys, but she could have more than held her own trading wit and wisdom with those writers of Christian thought and imagination. Her theological books blend deep convictions about doctrine with a worldview that applies the faith to art and all of life. Not as wittily quotable as Lewis, she was still quite bold, profound, and solid. In her own personal life, she battled quite a few issues. She got a degree from Oxford at a time when such a thing was unheard of for a woman. Her personal life was full of struggles, both from her own bad choices and from other circumstances, but she persevered and made her own niche in English letters. This book is a marvelous way to either get acquainted with Dorothy Sayers or to renew and enrich that acquaintance. Reading her books would involve taking quite a few mystery novels, a number of theologically-centered plays, several books of theology, some translations of classics (like The Song of Roland and Dante’s Divine Comedy), and reading her letters. This is not to say that they are all here in this volume, but it is a great selection of bits and pieces of her mysteries, without any fatal spoilers, and portions of her other writings. 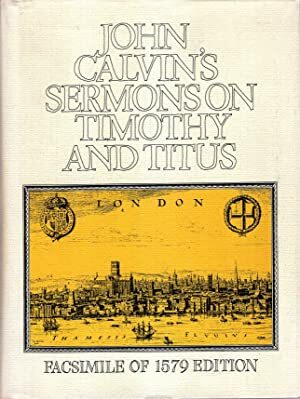 The book consists of twenty chapters, preceded by a biographical sketch and followed by short essay about Sayers by C. S. Lewis. The chapters are mostly named for her mystery novels, and then the selections begin with something from a novel, followed by non-fictional writings on the same topic. Topics include conscience, sin and grace, covetousness, forgiveness, judgment, and more. Let me confess something: I have failed greatly in not reading or appreciating enough of Dorothy Sayers’ writings. My response to the chapters of this book as I read it in the mornings (usually) is one of lament and regret over having ignored her. As I said in the beginning, my Sayers’ experience has been centered on that one brilliant essay, “The Lost Tools of Learning.” This book is a marvelous means of literary repentance for me. I love this whole series of books by Plough Publishing House. I hope they do more books of this type. So many writers have structured their books around Gospel themes. Even unbelieving authors resort to sin and grace, forgiveness and redemption, fall and restoration in their stories. Literature is a bulwark of Christian history and apologetics. Books like this one, The Gospel in Dorothy Sayers, are great tools for students and teachers. Forget that statement. It sounds much too serious. This book is great fun to read and is packed full of plenty that will nurture the soul and create an appetite for reading more of Dorothy Sayers. Finally, I am able to teach World War II without it being done in the waning days of school in the middle of May. Of course, I will have to confine my teachings to a few weeks and readings to a few books, but it is great to be able to delve into that world event that has so dominated history and society since the 1930’s. This school year, I have confined my Modern World Humanities History class to the 20th Century. We did begin with an overview of history, culture, religion, and society by reading a Christopher Dawson essay on Christianity through the centuries and then by reading and watching Francis Schaeffer’s How Should We Then Live? After that, we began with looking at the world in 1900, followed by World War I, the Russian Revolution, the world in the 1920’s, and events leading up to World War II. For my own needs, I read Last Hope Island by Lynne Olson. I made a major mistake in taking on this book. I assumed that it was simply a history of Britain during the war. It is that, but it is much more. Simply put, this is an incredible account of the various countries that were outwardly conquered by the Third Reich, but that kept on resisting, fighting, and trying to undermine Hitler’s New World Order. My favorite part of this book (and I liked it all) was the chapters devoted to the Netherlands. Queen Wilhelmina ranks right up there with Winston Churchill as a leader who used words and actions to oppose the Nazis. The war transformed this queen from being an isolated member of the Dutch royalty to being a true champion and leader of her people. The Dutch people themselves paid a very high price during their German occupation. The story that many of us know through Corrie Ten Boom’s The Hiding Place is one of the most terrifying and yet ennobling accounts of faith and courage through the war years. Likewise, the story of the Polish people is incredible. They were the first nation to be conquered when the war actually began. Polish airmen, in significant numbers, fled to England. At first the British were skeptical of the abilities of the Polish airmen, but soon the Brits recognized the skill, experience, and dedication of this group. Polish soldiers and resisters also fought bravely. The great tragedy was that Poland was “liberated” by the Soviet armies which then clamped down on them with their own tyrannical means. The stories of the Norwegians, the French, Belgians, and others are also aptly told. The many efforts of the British, especially during the darkest phases of the war, are not excluded either. This is a book that revives the spirit in terms of reminding us of why people fought and sacrificed in that war. Even after years of reading books on World War II, I was introduced to many people and events I was unfamiliar with. At this point, I will make acquiring Lynne Olson’s books a priority. 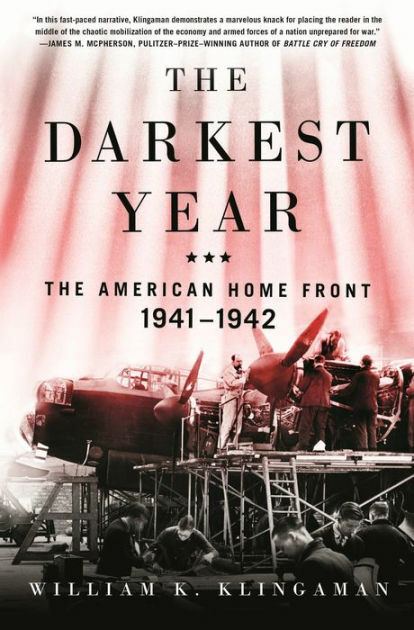 Next on my reading list is The Darkest Year by William K. Klingaman. Quite often we are more interested in the movement of armies and navies than the homefront, but it can be argued that World War II was won on the American homefront. I would hear about parts of this from my parents and grandparents. They talked of rationing and other life-changes that the war brought. For my dad, the war quickly took him away from the homefront, but my mother and oldest sister lived those experiences. I will be reporting back again on this book soon. I recently acquired three of Antony Beevor’s books on World War II. In past years, I read his books Stalingrad and The Battle for Berlin 1945 and thought them to be first rate histories. I would not object to having all of his books. He is, according to the official website, “The number one bestselling historian in Britain,” with books in thirty-three languages and with more than eight million copies sold. His writing is quite compelling. 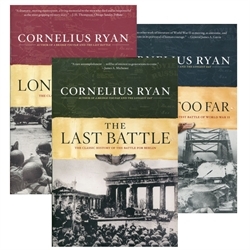 I still have a deep fondness for several American historians on the War, including Cornelius Ryan. His main books were The Longest Day (which was made into a movie), A Bridge Too Far (also made into a movie), and The Last Battle. It was many years ago when I read his books, and I am still convinced of their worth as good reads. 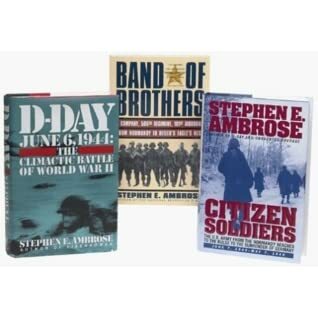 In more recent years, I consumed Stephen Ambrose’s D-Day June 6 1944 and Citizen Soldiers. I also wrote the student lessons that accompany Citizen Soldiers in the Omnibus VI book from the Veritas Press series. Ambrose’s shorter book The Wild Blue: The Boys and Men who flew B-24s over Germany is also top notch. That book gave me a whole new perspective and respect for the late Senator George McGovern, whose politics I disagreed with. 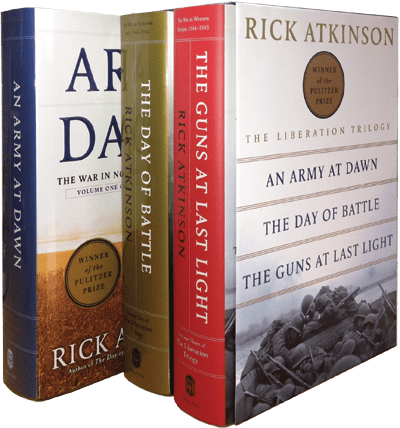 Rick Atkinson’s Liberation Trilogy is also outstanding. I read the first one–An Army at Dawn–in part because my dad served in North Africa, but sometime after Operation Torch, which was the American and British invasion. The second volume, which covered the Sicily and Italian campaigns, was beyond belief. If I had not already known the outcome of the war, I would have been assuming that the Germans defeated the United States and Britain, up until the last parts of that book. The challenges the Allies faced there still astound me. I liked the last volume as well, and once again, was made to feel in awe of the common soldiers in that war. My friend Glenn Moots recently called my attention to the book The Flying Greek: An Immigrant Fighter Ace’s WWII Odyssey with the RAF, USAAF, and French Resistance. It is an autobiographical account written by Colonel Steve N. Pisanos who died recently. I am looking forward to this book. An added bonus was discovering that the used copy I picked up had been signed by the author. 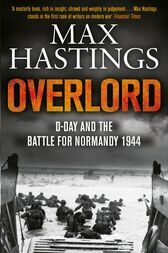 My raid this week on McKay’s Used Books in Chattanooga included picking up Max Hastings’s Overlord, yet another study of the June 6, 1944 landings in northern France. I am a dedicated collector and reader of Max Hastings’s books. While he has written on numerous military events, most recently Vietnam, quite a few of his books are on World War II. Time would fail me to talk again about Victor Davis Hanson’s outstanding book The Second World Wars, Niall Ferguson’s The World at War, the multi-volume edition of Winston Churchill’s history of the war, or of many others. For those who are overwhelmed by the choices and lengths of the greater studies and accounts, I would heartily recommend World War II: A Very Short Introduction by Gerard L. Weinberg. This is part of a series of books, small and compact, with the words “A Very Short Introduction” following the subject titles. They are published by Oxford University Press. These books, written by scholars in the particular fields, are great for either introducing or reviewing the topics at hand. First of all, I like biographies. But I want to read about political leaders like Winston Churchill, Theodore Roosevelt, or Ronald Reagan. I love biographies of military leaders, such as Douglas MacArthur, Robert E. Lee, or Archibald Wavell. I even read biographies of theologians, philosophers, novelists, and poets. And I have many books about preachers such as Jonathan Edwards, George Whitefield, and others. Second, I love the writings of Charles H. Spurgeon. I first heard of Spurgeon when I was in Henry Wood’s history classes in my first year of college. “Sell your shoes and buy Spurgeon,” Mr. Wood said, quoting Helmut Thielike. I didn’t completely embrace that advice. Yes, I bought a few Spurgeon works here and there, but never enough. It was only in recent years that I acquired the available in-print editions of the Metropolitan Tabernacle Pulpit. It was just a few years ago that I read Lectures to My Students from beginning to end. Perhaps my own ministry work and preaching revealed my Spurgeon-gaps more than I realized. But I was a fan, a reader, a gleaner of quotes. All that being said, I was not initially drawn to this book. There is a slight dread of the religious biography that tends toward hagiography. There is the slight distaste for the Victorian era style of writing with overblown, overly sentimental, and overly “spiritual” language. And I am possibly a male chauvinist. It is stupid if I am such, for my life has been incredibly enriched by wise, godly, strong-minded women. The first wall of resistance crumbled when George Grant promoted the book back in December in a series of posts recommending books for Christmas. I did succumb to several of George’s suggestions, meaning that I bought the books for myself for Christmas. But I did not buy Susie. And one of my teachers offered to buy me a copy of the book, but I declined that act of generosity. Then I became friends with Ray Rhodes Jr., the author, on Facebook. At that point, I was being overwhelmed with reading posts by him and comment from appreciative readers. I gave in, contacted Moody Press, and received my copy of the book. 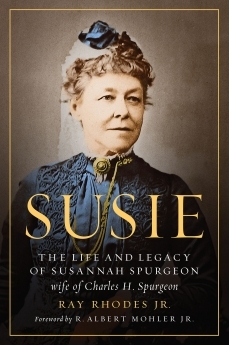 Susie: The Life and Legacy of Susannah Spurgeon, wife of Charles H. Spurgeon, published by Moody, is a very delightful book. Yes, Charles and Susie used much of the stilted and spiritual Victorian language in communicating to each other. This tends to obscure some of the real emotions or trials they were facing. In the case of Susie’s physical problems, we are left to speculate what her problem was. She had a very serious surgery after the birth of twin boys, resulting in no further children for the couple. So, we don’t know exactly what female problem she had, as though my life is somehow incomplete for not knowing this. We live in a time of bluntness, detail, and, subsequently, crassness. While I don’t think we should revert to saying “She is in a family way, rather than “She is pregnant,” I do wish we had a little more circumspectness about language. The age of the Spurgeon’s is a healthy antidote to our age. Plus, the degree of turning every written communication into a Christian exhortation is woefully deficient. I confess to being far more prone to ask a fellow church member about work, weather, or widgets than asking him about his prayers. The point being that the life and times of Charles and Susie Spurgeon are instructive and convicting for us in our times. Now, here’s the scandal buried in the text of this book. After all, we live in a time of scandals here and there among not only political and entertainment figures, but also church leaders. Charles and Susie Spurgeon were on the surface fully absorbed in the Christian life and faith. But in private…they were just as absorbed, if not more so. Outwardly, they seemed to have a marriage driven by love for Christ and each other. Inwardly, the same. Charles was a powerhouse in the pulpit, and he was the same man at home. Along with their solid Christian lives, take note also of this: Their lives are a repudiation of the health and wealth gospel heresy of our time. Financially, they did seem to do well, but considering the fact that Charles pastored a mega-church, they were not rich. Healthwise, their lives were incredibly difficult. Besides frequent bouts of depression, Charles suffered gout continually along with other ailments. His life’s work looks to be the product of someone who lived 300 years, but he died at age 57. Susie lived on for more than a decade longer, although she was ill and infirm during that time. Being married to a woman who has been the wife of a pastor, I know the weight they carry. Although Scripture gives no commands regarding the duties of pastor’s wives, they have many duties, chief among which is being a helpmeet to a man with an impossible job. Like many spouses of preachers, Susie carried on additional work. She wrote a number of books herself and worked extensively on her husband’s posthumous autobiography. She helped start a church in a community that did not have a Baptist church. Most of all, she ran a ministry devoted to sending out books to pastors whose shelves, unlike her own husband’s, were devoid of books. She was, in short, quite an incredible woman. I found myself inspired, convicted, and amazed constantly while reading this book. I have no doubt that many women have and will enjoy reading this book, but I would encourage men to read it as well. There have been too many cases, especially in some Reformed circles, where women and women’s ministries have been demeaned, suppressed, and despised. Susannah Spurgeon was a woman who shouted at the top of her lungs to the church and to the world. She didn’t do so literally, of course. But through her works, book distributions, prayers, and testimony, her life was a loudspeaker proclaiming the glories of Christ. Don’t hesitate any longer. Buy and read this book. In spite of Barbara Tuchman’s book The Guns of August, World War I did not begin in August 1914. It was not the implementation of the Schlieffen Plan of the Germans, Plan XIV of the French, the invasion of Belgium, the mobilization of the Russian army, or the flurry of telegrams racing from capital to capital that started the war. World War I started with one gun, one gunman (his confederates failed), and two casualties. It happened in the distant south-eastern European city of Sarajevo on June 28, 1914. At the end of the day, an heir to a throne and his wife were dead and their three children were orphaned. Over four years later, millions had been killed by battle and the effects of war and Europe lay in ruins. It would be those ruins which would then kinder the sparks that would lead to a second world war late 1930’s. When studying World War I, numbers quickly cease to have any meaning. A thousand soldiers die here, another thousand there, and soon the battles escalate to where ten thousand, twenty thousand, and even a hundred thousand die in a battle that barely moves the front lines and that doesn’t seem to hasten the end of the war. But when the story becomes more focused and those first two deaths are seen not as numbers, not a members of a ruling family, but as real people and as a husband and wife, a father and mother, then the pain of World War I becomes more vivid. The first two to die in that war were Franz Ferdinand and his wife Sophie. His title was Archduke and he was in line to be the next emperor or the Austro-Hungarian Empire. If the story of Czar Nicholas and his wife Alexandra of Russia is poignant, the story of Ferdinand and Sophie is even more so. They were truly in love and their love had a cost. Sophie was of the lesser nobility of Bohemia (later to be part of Czechoslovakia) while Ferdinand was of the royal Habsburg family which had ruled Austria for centuries. After the unexpected death (by suicide) of the Crown Prince Rudolf, Ferdinand stood next in line to rule what had become known as the Austro-Hungarian Empire. The current Emperor Franz Joseph had ruled the land since 1848. Like much of the noble classes, ignoble marital and extra-marital affairs were commonplace. Marriages were, in true Habsburg fashion, more driven by political considerations than by love or romance. Ferdinand broke the pattern and married Sophie. As a result of this morganatic marriage, Sophie was not allowed the usual position of the wife of the heir to the throne. When she was allowed to appear at public or social events, her lesser status kept her from being at her husband’s side. Also, none of the children were to be considered as heirs to the throne after their father. They were not even considered to be Habsburgs, rather they went by the name Hohenburg. I had always assumed or maybe had read that Franz Ferdinand was a rather shallow man who was simply a pawn in history’s larger chess games. He was actually quite visionary and wise. He was destined, so it seemed, to rule over an empire that has been described as a polyglot. Within the Austro-Hungarian Empire, there were Germans (Austrians), Hungarians, Poles, Czechs, Slovaks, Croats, Bosnians, Italians, and various other ethnic groups. The Austrians were the dominant faction although Hungary had been given a greater degree of power and autonomy. South eastern Europe tended toward two extremes: It could either be a factious group of smaller rival nationalities or it could be an empire ruled by a dominant power. Ferdinand sought a further choice. He desired to be more visionary, more federal, and more open to a nation-state where the various groups could be united as one while maintaining more of their national interest. 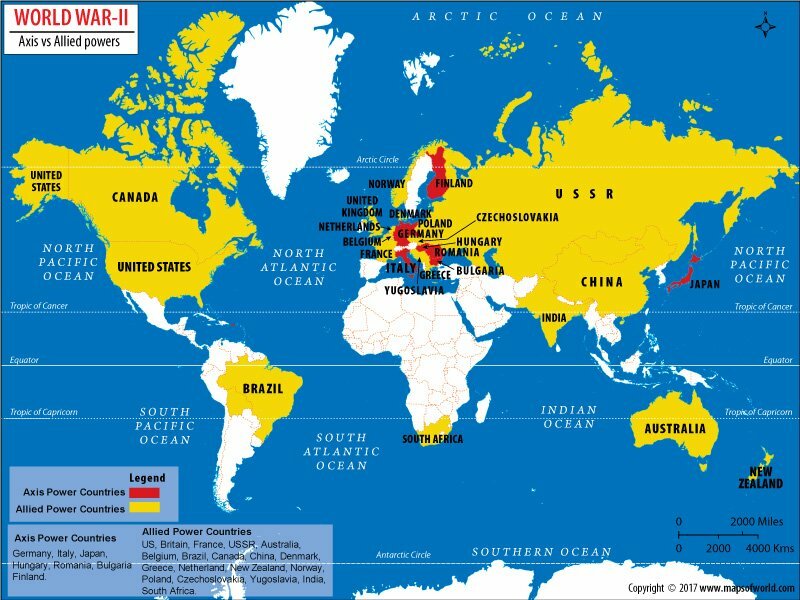 Imagine it as a type of United States or European Union. That dream ended when he and his wife were assassinated in Sarajevo in June 1914. By 1918, the Austro-Hungarian Empire and the Habsburg monarchy were both brushed into the dustbin of history. Sad story, but it didn’t end there. One Austrian nurtured a hatred toward the various races and cultures of the empire. He longed to see Germanic Austria joined to the greater conglomeration of Germanic nations that formed Germany. After World War I, events enabled this Austrian, Adolph Hitler, to rise to political power within one German party and then to power in Germany as a whole. One of his early great triumphs was the Anschluss. Perhaps many best know of this event from the movie The Sound of Music when Admiral Von Trapp is “trapped” by the merger of his country with Nazi Germany. He and his family, both in the movie and in real life, escaped. Many people were arrested, removed from power, or killed because of their positions in Austria. It is here that the key story of James Longo’s book comes into place. Hitler hated the Habsburgs and their descendants. Franz Ferdinand’s two sons were almost immediately arrested and imprisoned after the Anschluss. Their crime was their being descended from the Habsburg family. There was, to make matters worse, a movement within Austria to restore the Habsburg monarchy and make Otto Habsburg the new ruler. As obsolete as we make think monarchy is, a restored Habsburg monarchy in the 1930s could well have prevented World War II. The larger portion of Hitler and the Habsburgs covers the efforts of the two sons to survive Dachau and of the family to rescue them. The daughter of the slain couple, Princess Sophie, endured being exiled from her family’s estate in Czechoslovakia twice in her life, being in danger constantly, and of losing two sons who were forced to serve the Third Reich’s armies on the Russian front. 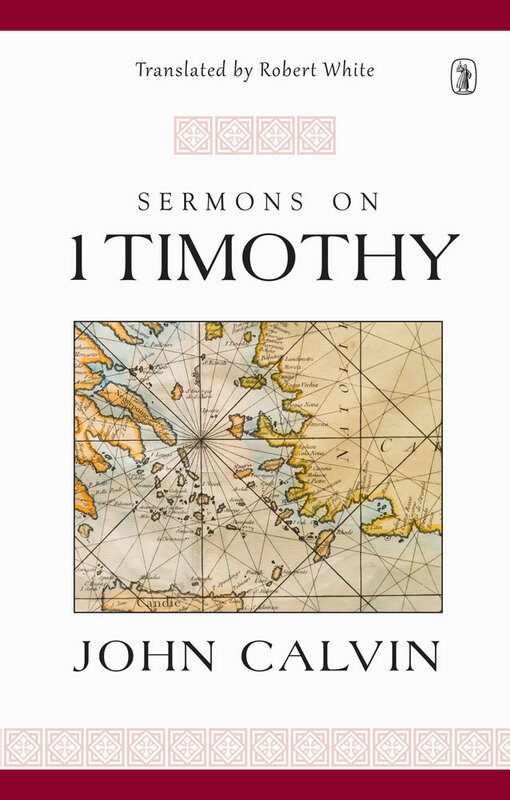 Besides being a riveting historical account, this book is an amazing testimony of the Christian faith. The faith in God and marital love of the parents was passed on to the children. Sophie, the daughter, perhaps better than anyone else, displayed a great certainty in God’s goodness in spite of all the losses she experienced in her life. This book is history at its finest. Yes, it is full of sadness, but there is triumph and perseverance and hope found in the story of this family. Two World Wars brought incredible miseries upon them. A fairy tale kind of royal life was denied to them at every step, but they endured and held fast to the truths that stand stronger than any empires or armies on earth.